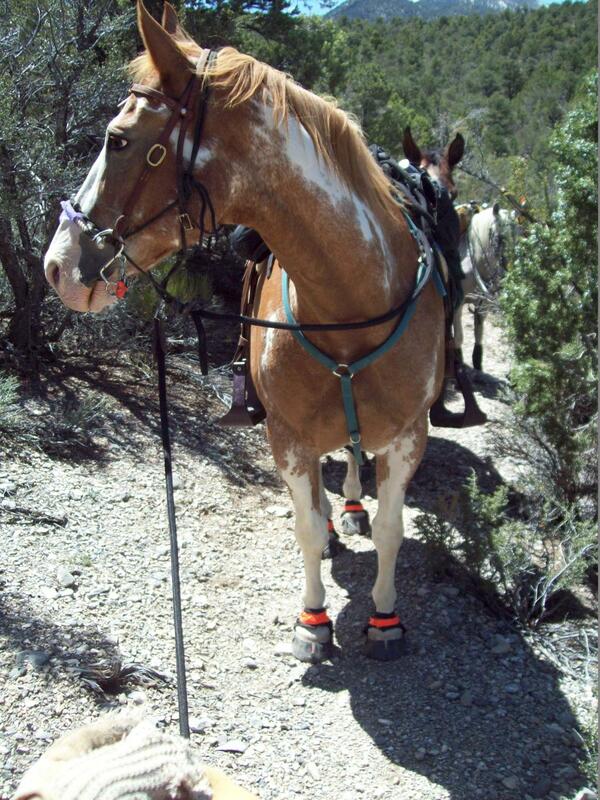 Very few people who know us well know that endurance riding has really been a second horse hobby for us. From our first married days way back when, we were hard-core hunters and packers. 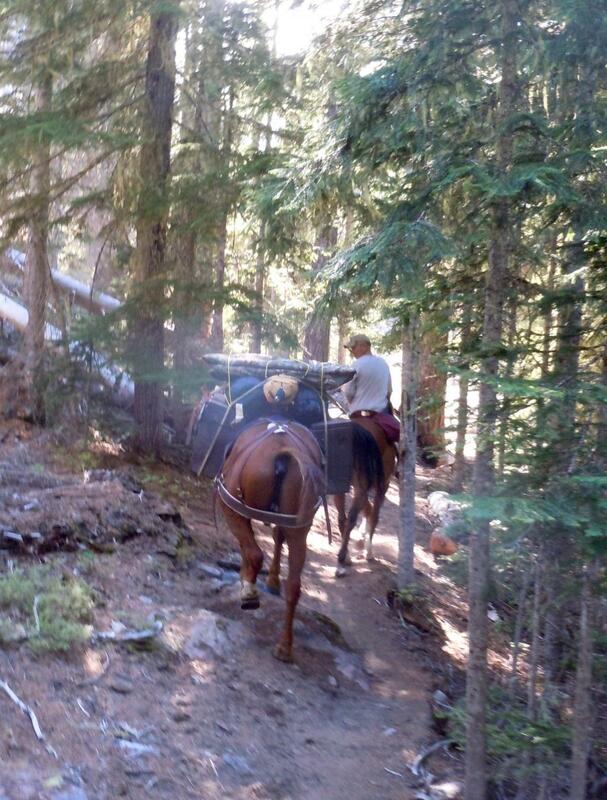 Our horses were picked out solely to be able to carry our equipment in and our bounty out of the mountains safely. In fact, it was on one of our high hunt expeditions that I became familiar with endurance riding. I had thrown in a Western Horseman magazine and not until I was sitting on top of a mountain with nothing else to do, did I open the pages and see two intriguing articles, one on the Tevis and another on adopting BLM mustangs. Well anyone that knows me wouldn’t be surprised what my immediate thought was: “I’m going to adopt a mustang and ride it in this thing called Tevis.” So long story short I eventually did just that and got hooked on the crazy sport of endurance with my husband following suite a few years after me. Fast-forward about 25 years and the whole hunting/packing thing seems like a whole other lifetime. 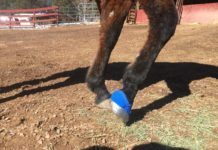 We’ve been riding Arabians bred for long distance and not always known to be bombproof, so imagine my surprise (fear) when Dennis started talking about going in packing on an elk hunt. I evaluated each one of our horses in my mind thinking of their strong points and weak points. I decided to just not talk about it and maybe the idea would go away but pretty soon Dennis was starting to be nice to Hummer, my retired tank of an endurance horse, who he never liked in the first place. Next thing I know, he’s putting a packsaddle on him. The rest is history. OK so what does this have to do with EasyCare? 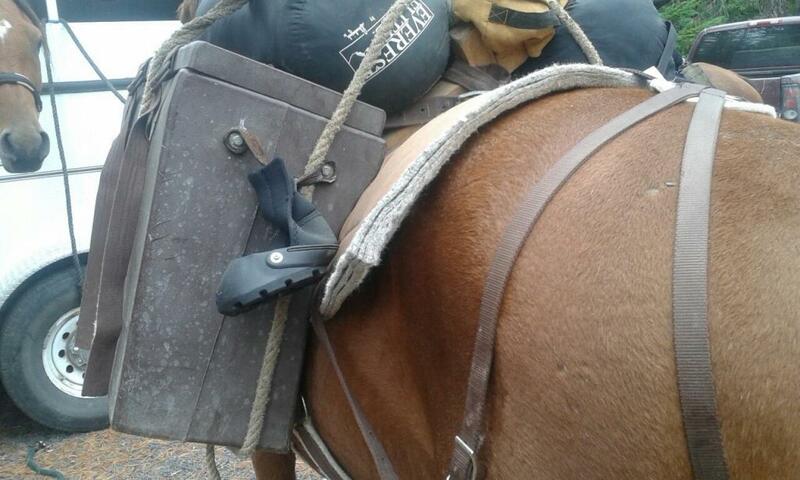 Well back in our packing days, all horses wore steel shoes. A lot of the trail we packed on was pretty technical with lots of washouts, roots, water crossings and slick rock. I can remember being behind one of the pack horses years ago and seeing his feet slip right out from under him. With dead weight it would be hard to get their balance, sometimes going down. 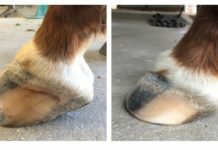 Hummer competed most of his 13 seasons in plastic shoes and the later years glue on boots so I was really excited that the progression of footwear for horses was going to make it a lot safer for my novice pack pony. Also having used the Glue-Ons for many years I had great confidence in them staying on. So off we went for what turned out to be a fabulous trip. 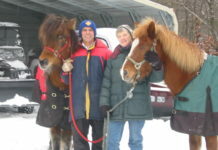 Unfortunately for us, the elk were pretty scarce, but the horses did amazingly well. Hummer had really good grip on the slippery rock and perfect protection on the sharp rock. 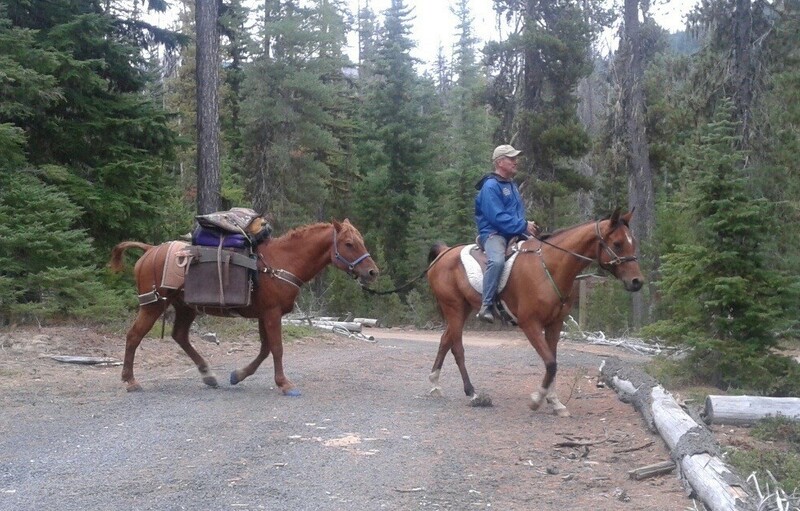 It was really cool seeing my retired endurance horse become a pack horse. I think he has a new career and a new admirer. Who knew?